Kaia appeared on NPR’s Tiny Desk Concert series with 3 other #fttalumni in June of 2018! Watch her performance here. Kaia performed on Show 351 in Las Vegas, Nevada on February 25, 2018. Kaia Selden (violin), 12, was born in New York City but and currently lives in Portland, Oregon. She is a rising eighth grader at ACCESS Academy and studies violin with Simon James of the Seattle Symphony. Kaia performed on From the Top in Las Vegas in February 2018. 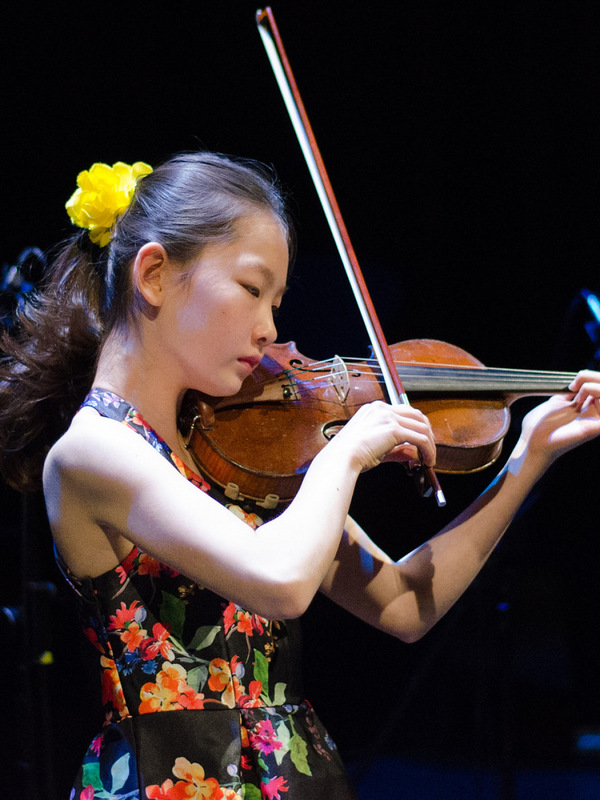 She was a 2017 concerto winner of the Seattle Young Artists Music Festival Association and performed the Mendelssohn violin concerto with the Philharmonia Northwest Orchestra. Most recently, she was a finalist at the 2018 Postacchini International Violin Competition in Italy. One of her favorite musical experiences was performing with the professional orchestra at the Classical Tahoe Festival. Outside of music, Kaia enjoys rock climbing, zip lining, reading Murakami and eating Italian food.